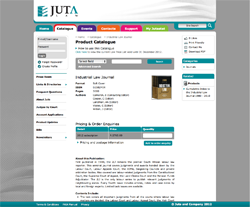 A 2009 subcription to the Industrial Law Journal (South Africa) is R2,145.00. All prices include VAT and are quoted in South African Rand (ZAR). Errors and Omissions Excepted. Prices are inclusive of 14% Value-Added Tax (VAT) if ordered and delivered within the borders of the Republic of South Africa. Products ordered and delivered outside the borders ofSouth Africa will have the VAT deducted from the prices shown. Prices of CD-ROM publications INCLUDE the cost of postage and handling. Yearly electronic subscriptions to CD-ROM and Internet products are renewed automatically on an annual basis unless cancelled in writing by the subscriber. A printable subscription form is available by clicking here.